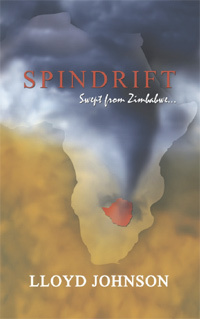 For any of you who remember Gary Reeve-Johnson (Founders 1984), he has a book for you all – “Spindrift – Swept from Zimbabwe” – published under the shortened name of Lloyd Johnson (Lloyd being his middle name). A story of humanity, resilience and courage against the backdrop of Robert Mugabe’s tyrannical regime, it captures the grandeur and allure of Africa in stark contrast to the anarchy, warfare and tribal conflict that have ravaged Zimbabwe. SPINDRIFT is a realistic portrayal of life in the country, beautifully and sensitively written, and humorous at times. Peter has an idyllic childhood in 1970s Rhodesia but as unrest in the country escalates during the War of Liberation, his world is shattered. A young black boy found orphaned in the ruins of an African village is adopted by his family, and a propitious friendship develops. The family farm is attacked by nationalist guerrillas, and after Independence it is seized by youths claiming to be war veterans seeking compensation. The family is compelled to emigrate and becomes part of the Zimbabwean diaspora. You can find “Spindrift” on Amazon.